Posted September 3, 2009 by Norburn Lighting and Bath Centre & filed under Energy Saving, Green Living, In The News, Landscape Lighting, Outdoor Fixtures . 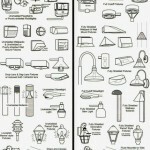 The dark-sky movement’s main activity is to encourage the use of full cutoff fixtures that cast little or no light upward, in public areas and generally to encourage communities to adopt lighting regulations. 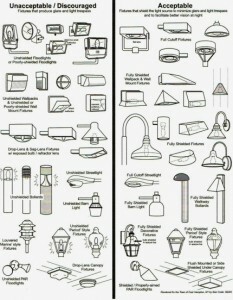 Above is a useful guide for choosing fixtures that reduce light pollution.